For 2013, Honda decided to bring back their famous 500cc engine that was first available in the CB500 back in 1993. 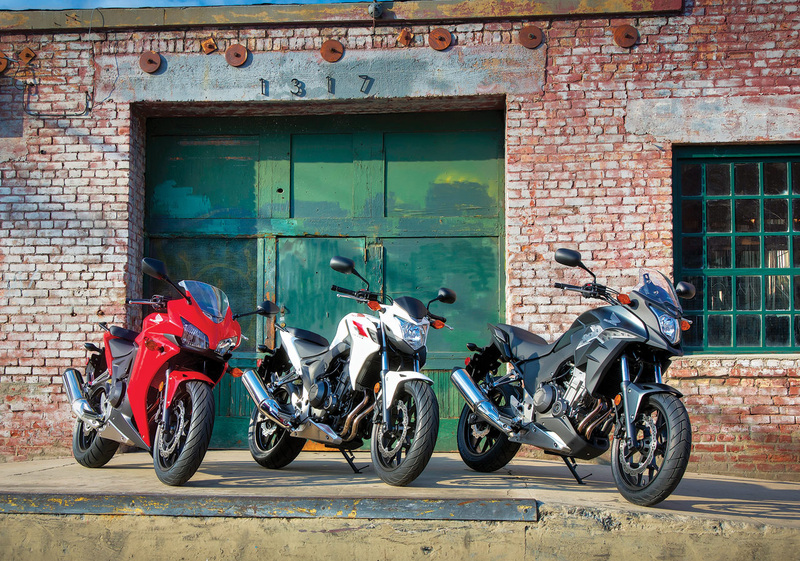 Now it is available in 3 all new models: CBR500R, CB500F, and CB500X. Essentially it’s the same bike but with different bodywork, so how does it compare to the other 500cc motorcycles on sale today? Performance – The engine is the same as the original Honda CB500 from 1993 but with modern technologies. 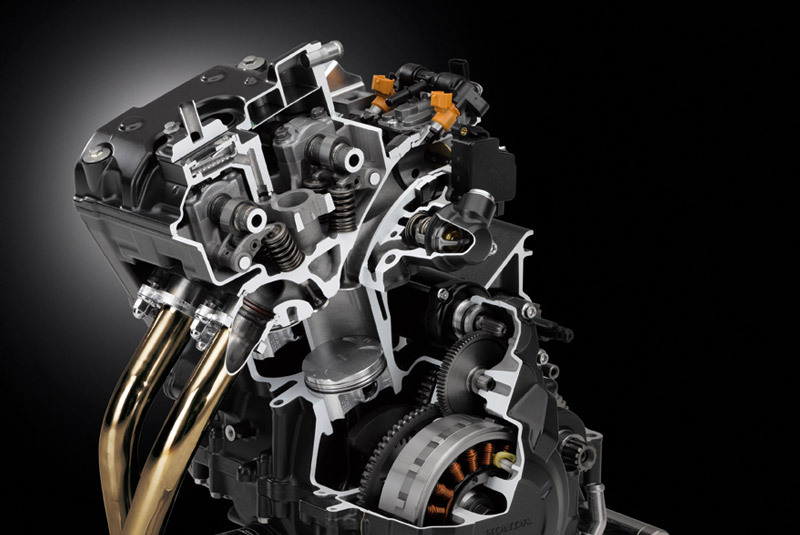 It is a liquid cooled parallel twin with electronic fuel injection producing 47 hp and 32 lb-ft of torque. Unlike the other 500cc bike that I’ve tested (Suzuki GS500F), the engine feels much smoother almost like a 4 cylinder rather than a 2 cylinder. The power is instantaneous from around 2000 rpm all the way to the 8500 rpm redline, now that is a few rpms lower than the GS500F redline of 11,000 rpm but at such high rpms, the parallel twin of the Suzuki vibrates so much that it feels like it is going to self destruct. The 6 speed transmission is also very smooth when shifting but you have to move your left foot a great distance to get the shifter to switch gears. The clutch is also very easy to handle and very forgiving for beginner riders as well as stop and go rush hour traffic. In terms of handling, the bike is very narrow and the chassis allows for very quick and responsive turning, feels almost like a 600cc sportbike. The non-adjustable suspension is a little on the soft side but through corners it still feels planted and confidence inspiring. Up front, a single 320mm disc with a dual piston caliper provides most of the braking. But as I’ve said in other reviews, dual front discs should be the norm. 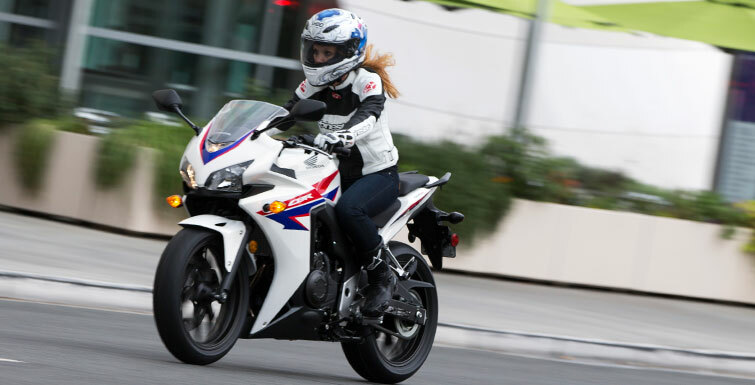 ABS is also available at a cost of $500 more than the standard CBR500R. Comfort – Although this bike looks like a sportbike, it is far from it in terms of comfort. The suspension does provide adequate feedback to the rider but it is also smooth on city streets. Even when going over the harshest of bumps, you don’t need to lift yourself up off the seat because the suspension absorbs all of the bumps on the roads. The riding position is also far from that of a sportbike with a very upright posture and most of your weight is on the seat (as it should be). 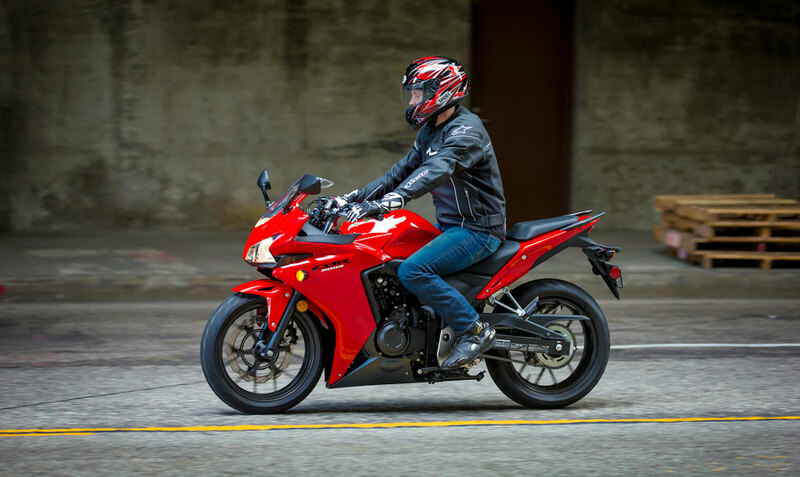 The R models features sportbike inspired fairing that does provide some wind protection, even for taller riders, but I don’t think I can say the same for the other CBR500 models. Odds and Ends – What else can I say about it? Enough power, easy to handle, comfortable, an all round great bike. For $6300 CAD, it’s one of the few motorcycle bargains out there for anyone looking to buy a first bike or a city rider.